The Spa at Kabira Country Club is a destination and day spa that offers a uniquely customized level of service where each moment of the journey caters to the guest’s selected intention. Through the careful stimulation of senses, guests are enveloped in a haven of relaxation. 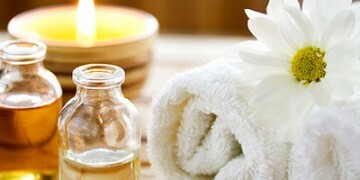 A treatment at our day spa is a perfect way to relax and smoothen your life. Offering luxury treatments and relaxing massages, specifically designed for women, men and couples. The spa at Kabira seeks to create pathways for each guest to inner health and external beauty. The Spa at Kabira is the perfect way to relax during a romantic getaway or urban retreat in Kampala. Experience the ultimate in relaxation and have your treatment in your room or cozy spa. Improve your athletic performance and reduce risk of injury with a combination of deep tissue massage, stretching and compression techniques. This massage reduces the muscle pain and joint soreness, increases flexibility and speed recovery from groin injuries or over worked muscles. Unwind and de-stress during this full body massage with light to medium pressure. Using essential oils mixed with olive oil, this massage will soothe your body and mind, transporting you to a tranquil state of relaxation amidst this busy city. Start your trip with a head to toe circulation boost. The perfect treatment to overcome jet lag and relieve stiffness, aches and pains. A gentle and soothing massage bringing together elements of deep tissue massage, stretches and reflexology using therapeutic healing balm. Designed to strengthen the body’s vital energy and leave you with a renewed spirit. Highly recommended after a long flight. Long fluid strokes designed to work the superficial layers of the whole body. In need of the most relaxation in the least amount of time? Our synchronized therapists simultaneously massage you in harmony and unison. The rhythm of four hands brings about a seep state of relaxation, allowing the mind to ease into a state of pure bliss, while giving a heightened feeling of vigour and lightness to tone muscles effectively, enhance blood flow and promote balance. Foot reflexology massage can be a deeply relaxing and therapeutic modality for those suffering from planter fasciitis, ankle injuries or even everyday work and play. At Kabira Health Spa, your massage therapist will apply traditional Swedish and sports massage techniques to the foot, calf and upper leg. This will not only help relieve toe pain, ankle pain, plantar fasciitis and common forms of arthritis, but can also decrease stress and anxiety in the entire body. You have no time? Combining a head massage, shoulder massage and back massage, this is the ideal treatment for those who work on computers all day – or those who have just completed a long international flight. Our therapists use deep tissue techniques to help release muscle tension built up by stress. The massage ensures you once again feel relaxed and invigorated and ready bounce for your next activity.